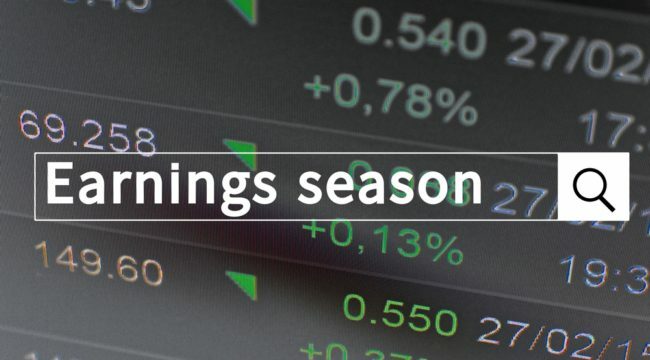 Here's Why Earnings Season Matters… And How YOU Cash In! If you watch business news channels regularly, you’ll start to notice a pattern. Every three months, like clockwork, they’ll devote hundreds of hours of programming to a single topic. For about six weeks, you’ll hear the same words over and over and endure an endless parade of “breaking news” interruptions. Near the end of it, you’ll be ready to switch the channel to soap operas for something a little less dramatic. But then it all suddenly goes away… at least for a few months. It’s called earnings season — when companies report their quarterly financial results. The media focuses so much attention on these numbers because they can help you make smarter investment decisions… even if you don’t own any shares of the companies being discussed. Of course, if you are a shareholder, these updates are critical. You’ve forked over capital expecting a return — so naturally you want to be kept in the loop. An earnings surprise is one possible result of analysts’ favorite pastime — estimating how much money a company will make in a quarter. They use their knowledge to guess how much profits a company will make and divide it by the number of shares outstanding. This is called earnings per share… essentially, how much each share would be worth if the company were to distribute its profits to shareholders. An earnings surprise is when the company reports a different figure than what the analysts expected. A beat or a miss causes a lot of volatility in the company’s share price. A beat means the company is stronger than most people thought, which usually convinces investors to buy the stock. A miss, of course, means the company isn’t doing as well as people thought. Another key part of the earnings announcement is management’s outlook on earning per share next quarter and next year. This is important because stocks are forward-looking, meaning their prices reflect where investors expect shares to be in future, whether up or down. So positive sentiment coupled with strong results tend to help maintain a bullish trend in the stock price. On the other hand, sometimes earnings are great, but management sees a potential slowdown in earnings. It’s one reason why a stock’s price could fall even if it beats earnings estimates. The last reason why earning season is so important is because we can learn clues about the general state and direction of major industries, if not the entire economy. And if enough bellwethers from each industry are thriving, the rest of the stock market tends to do the same. In other words, when bellwether companies announce earnings, smart investors pay attention. So the next time a financial news channel breaks into regular programming to talk about a company’s latest earnings, pay attention. An earnings miss or beat could open an opportunity to buy a great stock at a bargain price… or lead to a lucrative options play. Management’s future earnings outlook could also help you time some stock option trades. And bellwether companies’ quarterly results can give you insights on stocks you already own… or help you find other industries to explore.